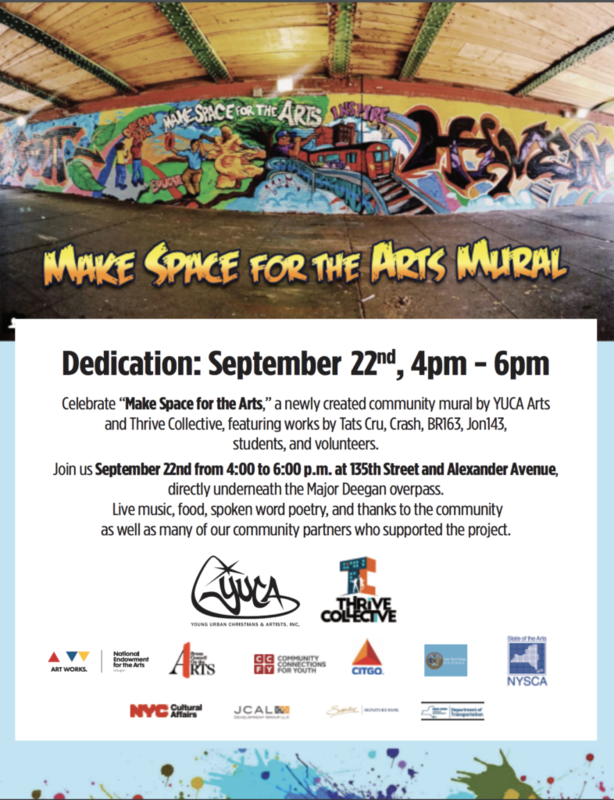 Celebrate “Make Space for the Arts,” by YUCA Arts and Thrive Collective, featuring works by Tats Cru, Crash, BR163, Jon143, students, and volunteers. Join us September 22nd from 4:00 to 6:00 p.m. at 135th Street and Alexander Avenue, directly underneath the Major Deegan overpass. Live music, food, spoken word poetry, and thanks to the community and many of our community partners who supported the project.